Cleaning stainless steel can sometimes seem tricky since this shiny material can be scratched fairly easily. 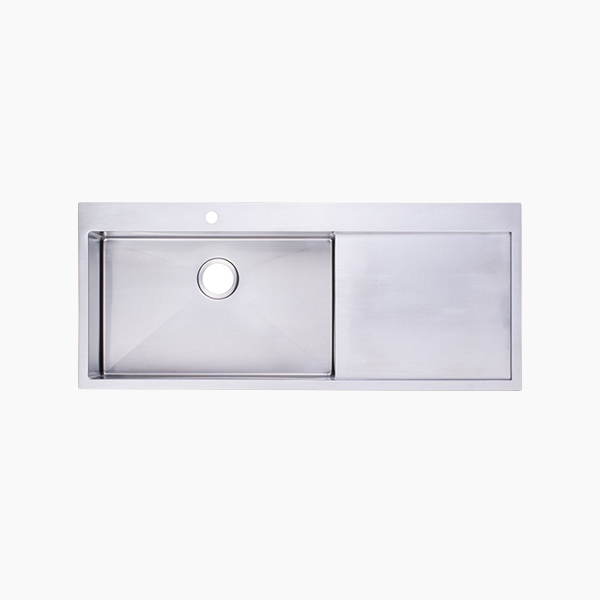 This is less problematic with a matte-finish surface, like that found on some sinks, but shiny stainless steel requires some care in order to remove stains without scratching the finish. Fortunately, stainless steel is a very resilient material of Stainless Steel Sink Colander that responds well to several different cleaning techniques. Hard water tends to streak and build up mineral deposits on stainless steel. To help prevent this, wipe the sink dry each time you use it. Soak a paper towel in white vinegar. Apply the paper towel to the hard water stains and leave it alone for a few minutes. Buff the sink with the vinegar-soaked towel and rinse well. In next article at handmadesink news page, we will introduction other two tips “To Remove Rust from Stainless Steel Kitchen Sink with Drainboard ” and “To Remove Stubborn Food Stains from Stianless Steel Handmade Sink”, welcome your visit.